Upcoming events and training opportunities from various boating organizations. If you have an upcoming event and would like to submit it for consideration for our calendar, please contact us. The Operation Dry Water campaign coordinates on a national level, the saturation of thousands of law enforcement officers on the water during an annual heightened awareness and enforcement weekend. The Operation Dry Water campaign coordinates on a national level, the saturation of thousands of law enforcement officers on the water during an annual heightened awareness and enforcement weekend. The campaign’s mission and the mission of law enforcement involved, is to raise awareness about the dangers of boating under the influence of both drugs and alcohol and to facilitate heightened boating under the influence enforcement on our nation’s waterways. National Fishing and Boating Week is a national celebration, an event that highlights the importance of recreational boating and fishing. Learn how you can celebrate National Fishing and Boating Week here. National Marina Day is a nationwide boating event dedicated to growing boating participation across North America. National Safe Boating Week is May 20-26, 2017. Boating safety advocates across the U.S. and Canada have teamed up to promote safe and responsible boating, including voluntary, consistent life jacket wear every time boaters are on the water. On Saturday, May 20, participants in cities around the globe will gather to set a world record for the most life jackets worn and inflatable life jackets inflated on the sixth annual Ready, Set, Wear It! Life Jacket World Record Day. On Saturday, May 20, participants in cities around the globe will gather to set a world record for the most life jackets worn and inflatable life jackets inflated on the sixth annual Ready, Set, Wear It! Life Jacket World Record Day. The goal is not only to promote the comfortable and versatile options when it comes to life jackets, but also to educate the public about safe boating. This is a fun, educational way to heighten awareness of different life jacket styles, including inflatable life jackets, and demonstrate their comfort and versatility by wearing them to work. Wear Your Life Jacket to Work Day, hosted by the National Safe Boating Council, is celebrated each year just prior to National Safe Boating Week, the official launch of the North American Safe Boating Campaign. This is a fun, educational way to heighten awareness of different life jacket styles, including inflatable life jackets, and demonstrate their comfort and versatility by wearing them to work. The National Safe Boating Council is asking all participants to take a picture of themselves in their life jacket while at work and post it to the Ready, Set, Wear It! Facebook page (facebook.com/readysetwearit) or submit directly to the NSBC at outreach@safeboatingcouncil.org. Participants are also encouraged to tweet their picture using #readysetwearit. The American Boating Congress is a comprehensive legislative conference that brings together recreational boating industry leaders to formulate public policy and present a unified front on issues that impact marine businesses. Registration is now open. The American Boating Congress is a comprehensive legislative conference that brings together recreational boating industry leaders to formulate public policy and present a unified front on issues that impact marine businesses. Registration is now open. Learn more. The IBWSS is the premier event for training, education, awareness, meeting, and networking for professionals, volunteers, and anyone involved in boating and water safety. Changing demographics throughout the country bring a great opportunity for the fishing and boating communities to engage with Hispanics. Hosted by the Recreational Boating & Fishing Foundation. Changing demographics throughout the country bring a great opportunity for the fishing and boating communities to engage with Hispanics. Hispanics make up 18% of the U.S. population (57mm) and are projected to reach 20% (65mm) in the next 3 years! Targeting the Hispanic community needs to be an organization-wide commitment and implemented at the local level. Please join the Recreational Boating & Fishing Foundation on Thursday, April 20 at 3:00pm Eastern for a webinar presented by Gerry Loredo, Lopez Negrete Communications, and Ed Cantú, Tippit & Moo Advertising. Gerry & Ed will share ways to ensure your messaging is reaching this important audience and provide insights on how to successfully engage the key Hispanic demographic. Please contact Joanne Martonik with any questions. Register now. The ACA provides a range of recreational opportunities and has been established as one of the premier standards of paddlesports safety and education. As part of the ACA’s leadership role in the paddlesports community, we have initiated this conference to target all facets of the paddlesports community. The ACA provides a range of recreational opportunities and has been established as one of the premier standards of paddlesports safety and education. As part of the ACA’s leadership role in the paddlesports community, we have initiated this conference to target all facets of the paddlesports community. Visit the conference website for more information about the 2016 conference. The 96th Meeting of the National Boating Safety Advisory Council was held on 20-22 Oct 2016 at the Holiday Inn Arlington – Ballston. The 96th Meeting of the National Boating Safety Advisory Council was held on 20-22 Oct 2016 at the Holiday Inn Arlington – Ballston. 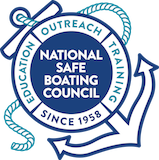 Learn more about the proceedings at the National Boating Safety Advisory Council’s webpage. The 2016 NASBLA Annual Conference was a combination learning conference, annual business meeting, committee meeting, workshop, learning lab and colleague roundtable event for state recreational boating safety professionals and others in the RBS community. The 2016 conference is complete. Click download to view the conference presentations. View the upcoming 2017 conference, September 10 — 13, 2017. The IBWSS is the premier event for training, education, awareness, meeting, and networking for professionals, volunteers, and anyone involved in boating and water safety. Click download to view proceedings. View the upcoming 2017 conference, April 23 — 26, 2017. The IBWSS is the premier event for training, education, awareness, meeting, and networking for professionals, volunteers, and anyone involved in boating and water safety. Download the 2016 proceedings. View the upcoming conference from April 23-27, 2017.